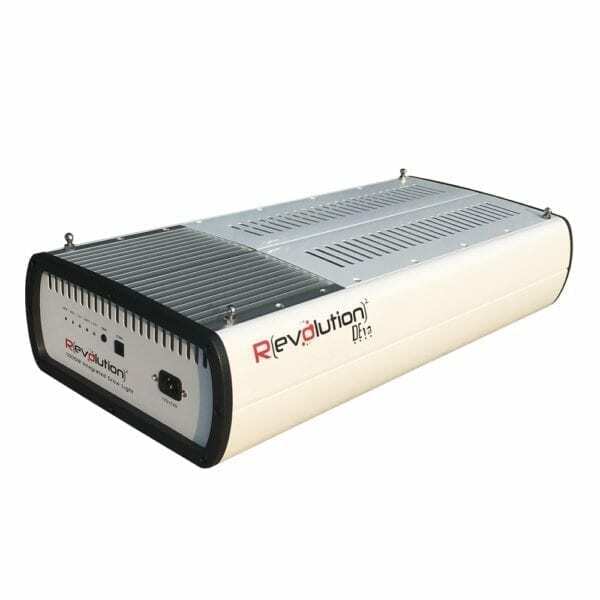 The Revolution DEva 1000W DE light system is a completely integrated, no compromise plug n’ play plant lighting solution. 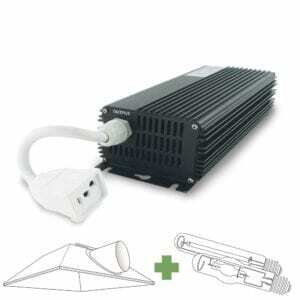 The DEva’s state of the art, low frequency, square wave electronic ballast is built right into the reflector, which also houses an included Ushio 1000W double ended HPS lamp. The Revolution DEva is designed using the highest quality components available, from the avionic grade capacitors, which are rated for 36 years of continuous operation, to the 97% reflective German aluminum in the reflector. The Revolution DEva 1000W DE light system is CSA Listed and approved to UL 1598, and are manufactured at a cutting-edge ISO certified manufacturing facility in Thailand, using only ISO traceable components. Take lighting to a whole new level with the Revolution Micro DEva Lighting Controller. This feature packed controller will was designed with everything in mind. Save 20% on a spare bulb with your fixture purchase! Grab accessory gear at discounted bundle pricing! 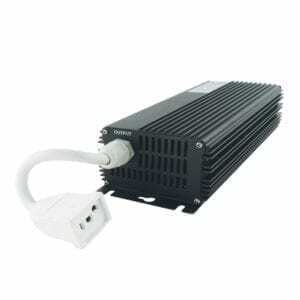 The Revolution DEva 1000W DE light system is a completely integrated, no compromise plug n’ play plant lighting solution. 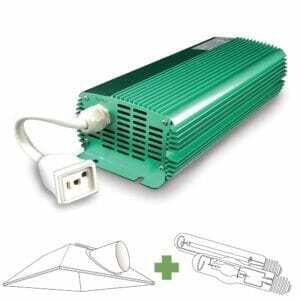 The DEva’s state of the art, low frequency, square wave electronic ballast is built right into the reflector, which also houses an included Ushio 1000W double ended HPS lamp. The Revolution DEva is designed using the highest quality components available, from the avionic grade capacitors, which are rated for 36 years of continuous operation, to the 97% reflective German aluminum in the reflector. 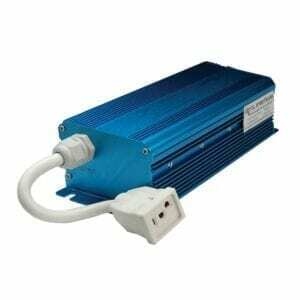 The low-frequency square wave produced by the DEva electronic ballast drives the Ushio DE-HPS lamp to perfection with virtually no electromagnetic interference (EMI) or acoustic resonance issues that plague so many other electronic ballasts. 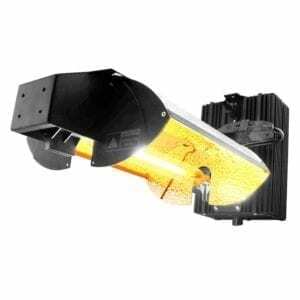 The Revolution DEva 1000W DE light system is CSA Listed and approved to UL 1598, and are manufactured at a cutting-edge ISO certified manufacturing facility in Thailand, using only ISO traceable components. 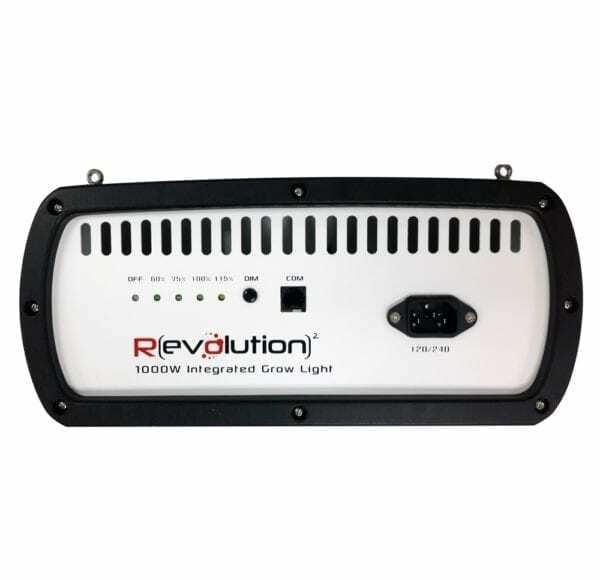 Take lighting to a whole new level with the Revolution Micro DEva Lighting Controller. This feature packed controller will was designed with everything in mind. From a temperature controlled 1% auto dim to sunrise/sunset this controller does it all. 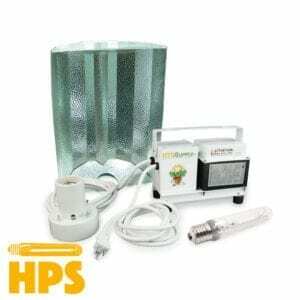 At the heart of the DEva system is silent square wave technology. 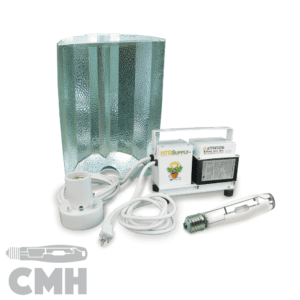 Only Greg Richter of RevMicro could think of taking a high frequency based technology operating at 100,000+ Hz and dropping it down to 100 Hz—while making it produce even more light—with the utmost safety and reliability. That’s not a typo. Silent square wave technology produces a perfect bandwidth for HID lighting at 100 Hz (for reference you line voltage is usually 50-60 Hz). 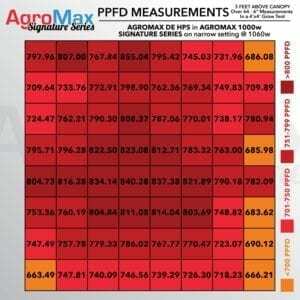 The 100 Hz output (vs conventional 100,000+) helps to eliminate or cut down drastically on problems like EMI and the lesser known issue of harmonic distortion that may occur in some types of HID lamps. A square sine wave produces a predictable rise and fall in the “shape” of the electrical output, rather than a wild and unpredictable wavelength. 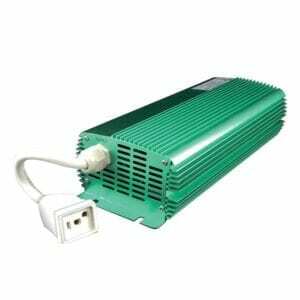 The quality of the light that can be produced by your grow lamp is directly reflected by the quality and type of electrical output from your ballasts in many types of HID lamps. Plants “see” the difference in many instances, and respond favorably. 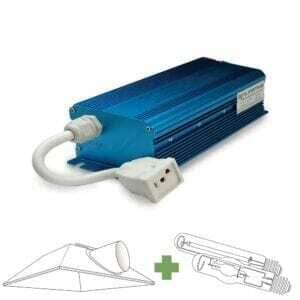 In addition to producing better light, this technology may also promote longer lamp life as well as lower risk of lamp failure. Pioneering indoor horticulturalists have historically been forced to mix and match different components, often sourced from several manufacturers and suppliers, to create a complete indoor horticultural lighting system. Fortunately, thanks to DEva, those days are behind us. 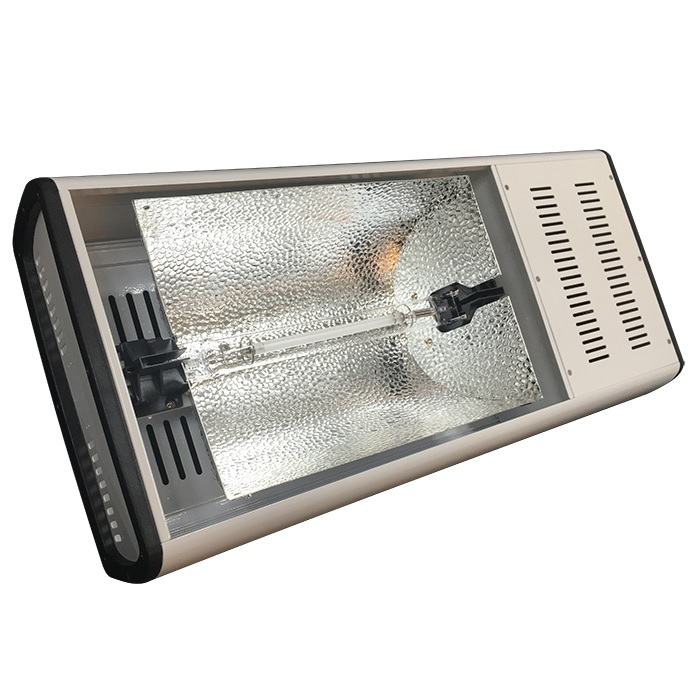 DEva is a completely integrated, plug n’ play, no-compromise plant lighting solution. Our state-of-the-art, low-frequency square wave electronic ballast is built right into the reflector. 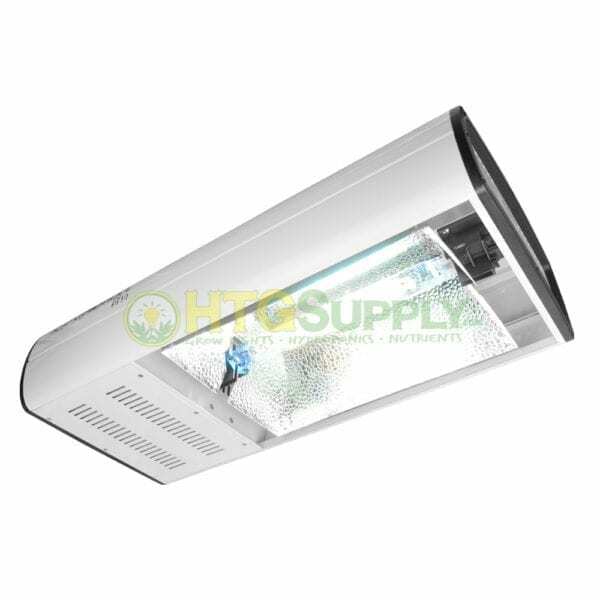 The reflector houses a BLV double-ended 1000W HPS lamp—which comes included. All you have to do is plug it in and start growing. Arguably it’s not just DEva’s performance that sets it apart from the competition but the quality of its components. 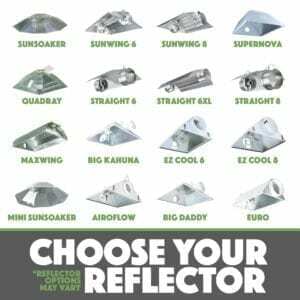 We designed and sourced everything from the ground-up, from the avionic-grade capacitors (rated for thirty-six years of continuous operation) to the 97% reflective German aluminum in the reflector. 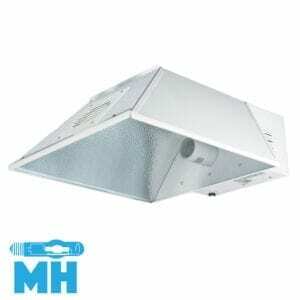 The low-frequency square wave produced by the DEva electronic ballast perfectly drives the BLV DE-HPS lamp with virtually no electromagnetic interference (EMI) or acoustic resonance issues that plague so many other electronic ballasts. All Revolution Micro products are manufactured at a state-of-the-art, ISO-certified manufacturing facility in Thailand. Quality, consistency, and reliability drive everything we do. Usually, phrases such as “state-of-the-art” and “cutting-edge” merely serve to prepare growers for budget-busting premium prices. Not so with DEva. 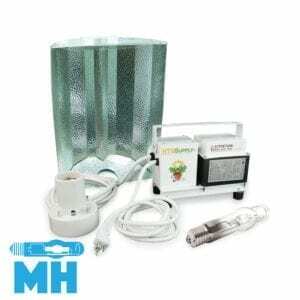 Right from the outset, our goal has been to deliver an affordable and scalable plant lighting solution that’s attainable to both small-scale hobby hydroponics growers and large-scale, commercial-grade medical and licensed installations. One reason we devote so much time and effort into implementing bulletproof manufacturing procedures and quality control processes normally reserved for aircraft avionics and other “zero-failure” applications is to keep costs down! The other, of course, is to provide a new level of reliability for growers, especially those cultivating extremely high-value crops.